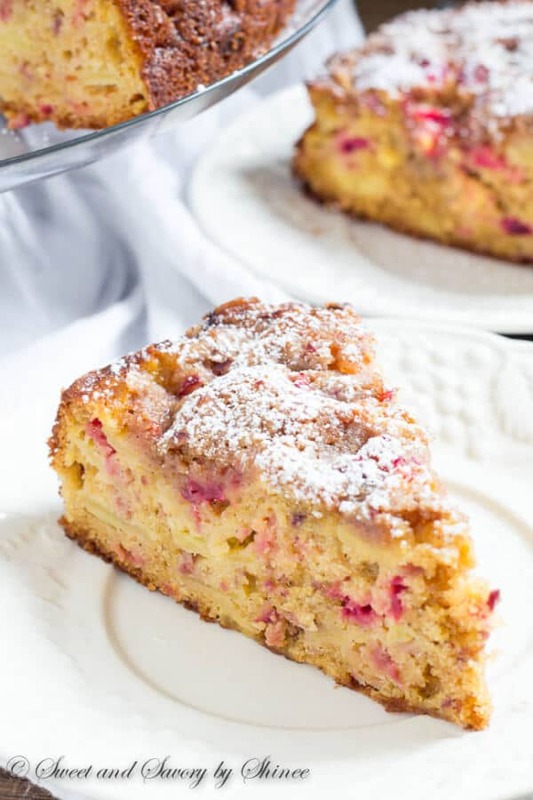 This tender, mildly spiced fall crumb coffee cake is loaded with pears, apples and cranberries and generously topped with buttery crumbs and more cranberries. Perfection! Ok, enough of weather talk. Look at this CAKE! 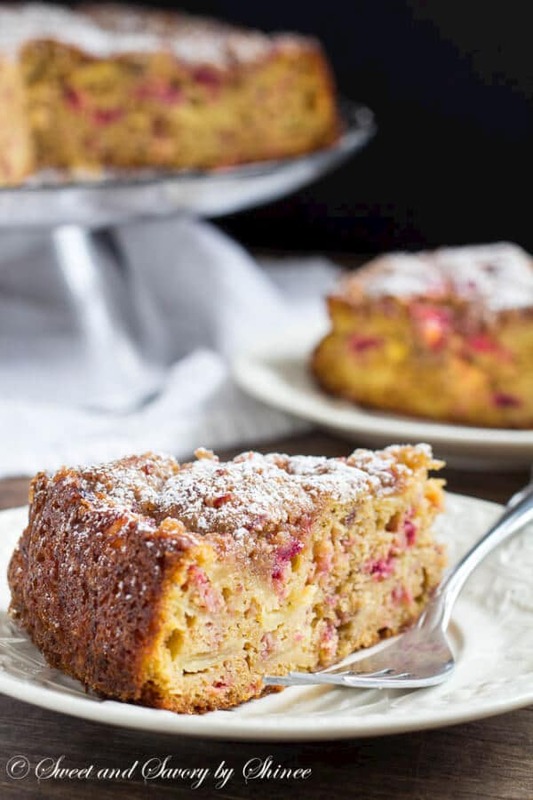 Ridiculously tender (read: moist), mildly spiced with warm fall spices like cinnamon, nutmeg and ginger, loaded with pears, apples and cranberries! Did I convince you? Not quite yet? How about that buttery sweet crumb topping with cranberries? I wasn’t shy on the crumbs here. It creates nice caramelized crust over the cake. Perfection! If desired, you can dust some powdered sugar on top for a festive look. The cake still looks quite gorgeous without it too, with beautiful red cranberries all over. Those ruby red specks of cranberries are just gorgeous! So festive and perfect for Thanksgiving and Christmas. 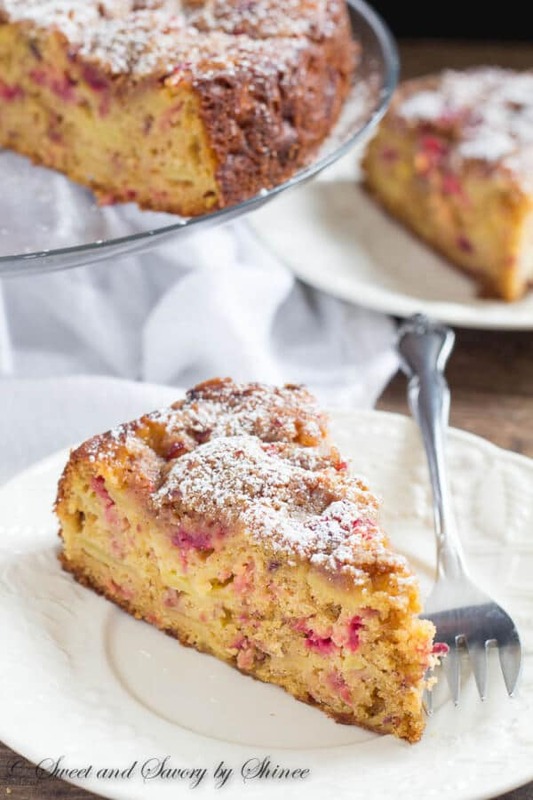 This tender, mildly spiced fall crumb cake is loaded with pears, apples and cranberries and generously topped with buttery crumbs and more cranberries. 1. Preheat the oven to 350°F (175°C). Grease 9-inch (23cm) round springform pan. 2. For the crumb topping, combine flour, sugar, butter and cinnamon. Set aside. 3. 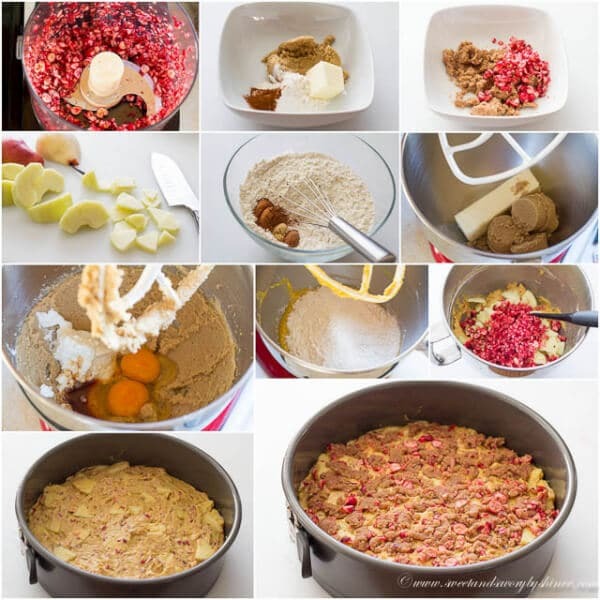 In a food processor, pulse the cranberries a few times leaving some big pieces. 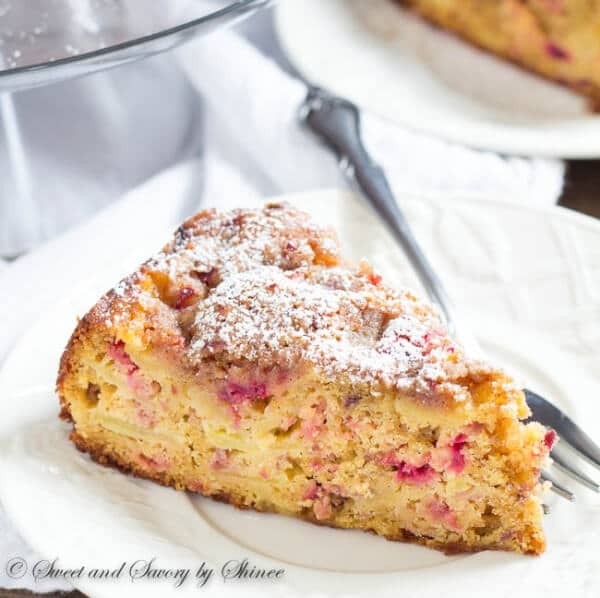 Take about 2 tablespoons of cranberries and mix it with crumb topping. Peel and cut the pear and apple into thin small pieces. 4. In a small bowl, whisk together flour, baking powder, cinnamon, baking soda, nutmeg, ginger and salt. 5. In a large mixing bowl with paddle attachment, or using an electric hand mixer, beat the butter and sugar until fluffy. Add the eggs, yogurt and vanilla extract and continue to beat for 2 more minutes, or until well combined. Add flour mixture and mix until just combined. Fold in the cranberries, pear and apple. 6. Pour the cake mixture into the prepared cake pan. 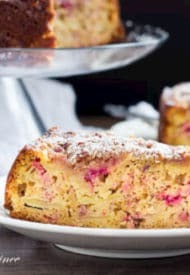 Sprinkle the prepared crumb topping evenly over the cake batter and slightly press. Bake for about 45 minutes, or until the inserted toothpick comes out clean. 7. Cool for 5 minutes. Then remove from pan and cool completely on wire rack.